Thank you for visiting Greenskies, a Clean Focus company, about your community solar questions. 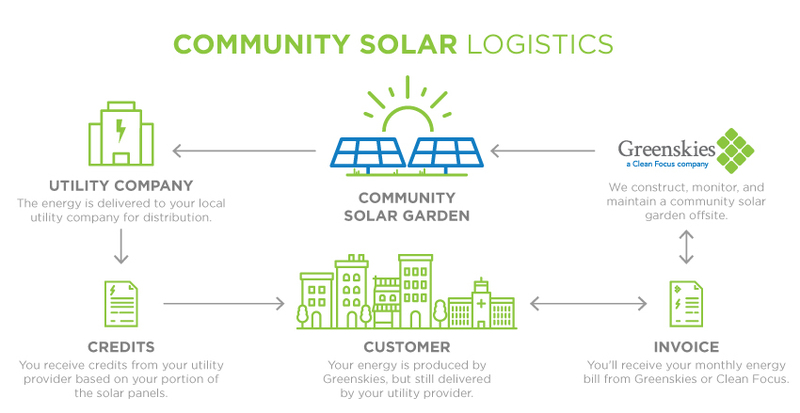 Greenskies develops and maintains community solar projects and works with utility companies to deliver your power. Clean Focus is the long-term owner of the community solar projects that Greenskies develops. Below is a list of frequently asked questions followed by a form to submit your inquiry directly to Greenskies and Clean Focus. 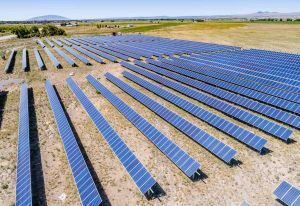 With community solar, businesses and residents can take advantage of the benefits of solar, without having solar panels installed on their roof; no construction costs, no on-going maintenance, no disruptions associated with traditional onsite installations. Additionally, businesses and residents that cannot install solar panels on their property can still take advantage of solar energy, like renters or those living in a multi-family building. 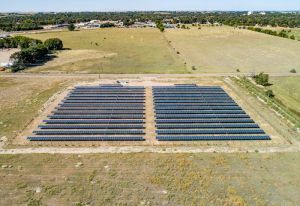 A solar garden is used to describe the solar panels and land used to generate electricity for a community solar project. Community solar is sometimes referred to as a community solar garden or solar garden. The solar garden will generate electricity from the sun and feed the electricity directly into the utility grid. Utility customers located on the grid in that geographical area then use the electricity. 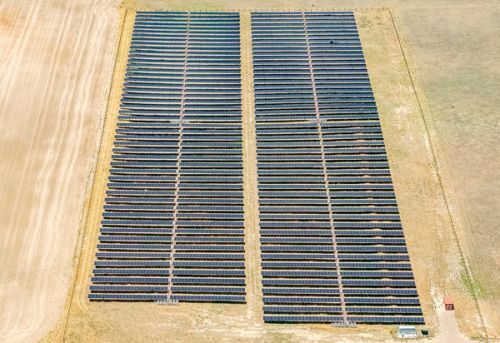 The amount of energy generated from the solar garden is measured and applied to the subscribers of the garden (as registered with the utility). The utility then applies a credit toward the bill of subscribers in an amount equal to the allocation percentage of the produced electricity. How do I participate in a community solar program? If you have been contacted by your utility stating that Greenskies or Clean Focus is offering a community solar project and want to participate, please fill-out the form below to be placed on a waitlist. Please note that currently, our existing gardens are full. Also, each community solar project has its own terms and conditions. 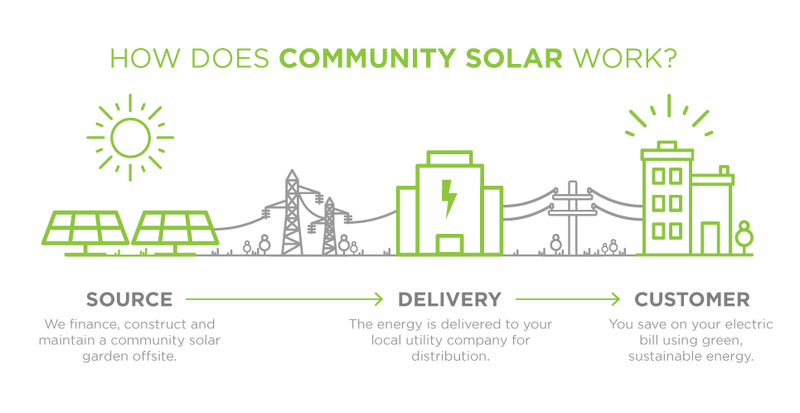 Typically, to subscribe to a community solar project with your utility, you need to be an existing utility customer and not already have a net-metered solar photovoltaic system (meaning you don't have solar panels on your home or business). If you have not been contacted by your utility about a community solar project in partnership with Greenskies or Clean Focus, we are not your community solar provider at this time. How will I know that I am getting the exact energy that was created from the solar garden? Once created, energy does not have any distinguishing characteristics. 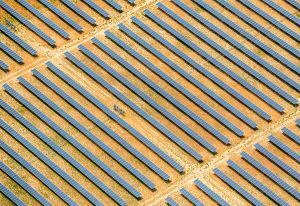 A unit of electricity from a solar garden is the same as a unit of electricity from a coal plant. 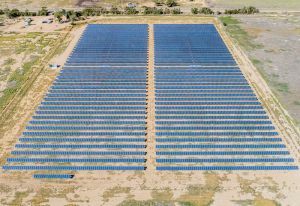 As a result, you will not get the exact electricity generated from the solar garden, but you will know that the sun's energy is one source of the total electricity generated. A community solar garden is a renewable energy source and helps with environmental conservation and improvement. No, you do not need any special equipment; your credits will be created and credited through your existing utility. The application of the generated electricity and the associated credits will all take place at the utility. How do I un-enroll in a program I am subscribed? Please fill-out the inquiry form and we will get back to you within 72-hours. How do I change (increase/decrease) my allocation? Why do my credits/production allocation vary month to month? The amount of energy produced from a solar garden will vary from month to month, year to year. 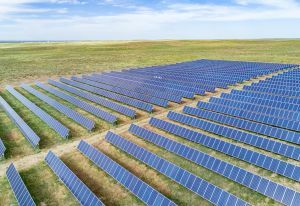 The largest impact on the production of a solar facility is weather; if it is a cloudy day or there is snow covering the panels, the solar garden will produce less energy. Alternatively, a solar garden will produce much more electricity on a long summer day as opposed to what would be produced on a short winter day. 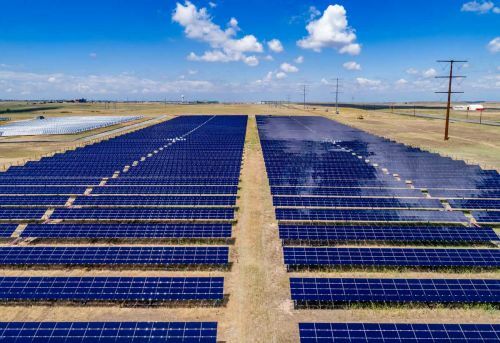 Finally, while a solar garden is a much more reliable source of energy as they have minimal moving parts; there are times that the system may be offline for maintenance and repair. The terms and conditions for each solar project vary project to project. 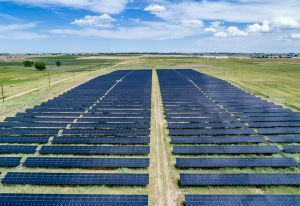 Some utilities will purchase the energy directly from the owner and then recover the cost of solar from the subscribers through their standard billing practices, while other utilities do not collect solar garden revenue from the subscribers and instead require the third parties to bill the subscribers directly. If you have a question, please submit an inquiry below and we will get back to you within 72-hours.